Bobbi Brown- the empress of makeup!!! I’m so happy that she recently launched in India. yeahhhh!!!! So now I can pester mom to get some! Bobbi says : Effortless and high impact – that’s the essence of Bobbi Brown’s Long-Wear Cream Shadow Stick. The do-it-all formula glides on tug-free and can be used to shade, define, smoke up and highlight eyes. In subtle to eye-popping shades that last for up to eight hours without creasing, flaking or fading, it’s a stroke of genius. Just swipe on and go. 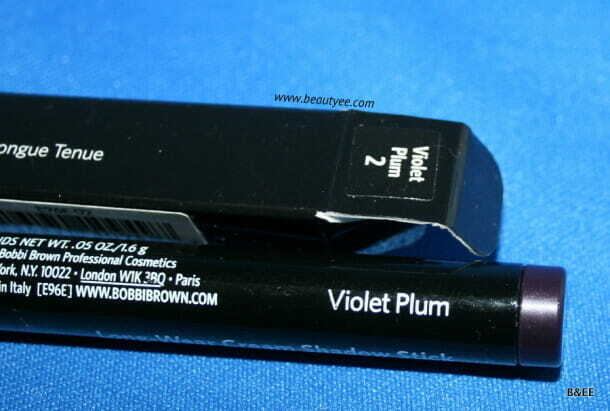 Shade I have : Violet Plum which is a deep shimmer eggplant shade. I have been applying this since last 3-4 days and though I didn’t expect it to perform so well, it surprised me a lot! 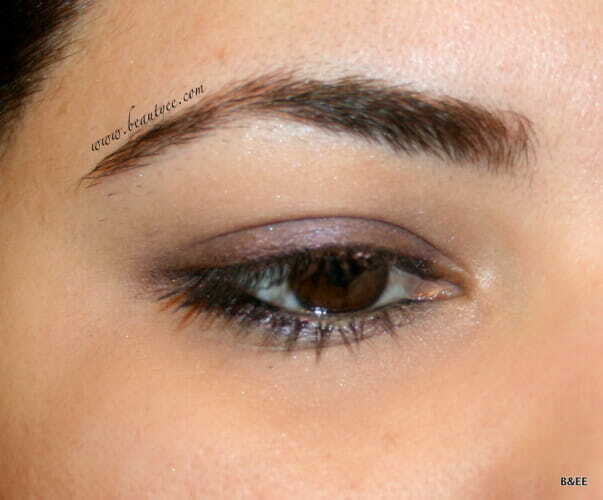 I have super oily lids & every liner I apply forms a crescent shaped smudge on my lids. and only a few primers work on me. I tried this with and without primer in 80 degree heat and it really stays put. As a base to a similar shadow it will stay longer- maybe even more. The texture is really creamy & great to work with. Absolutely no tugging of the eye. I didn’t have to hold eye lid taut (unlike some pencils). The formula is a tad sheer but very buildable. also, it’s not waxy – so I guess they did not use any fillers. It’s just the product! 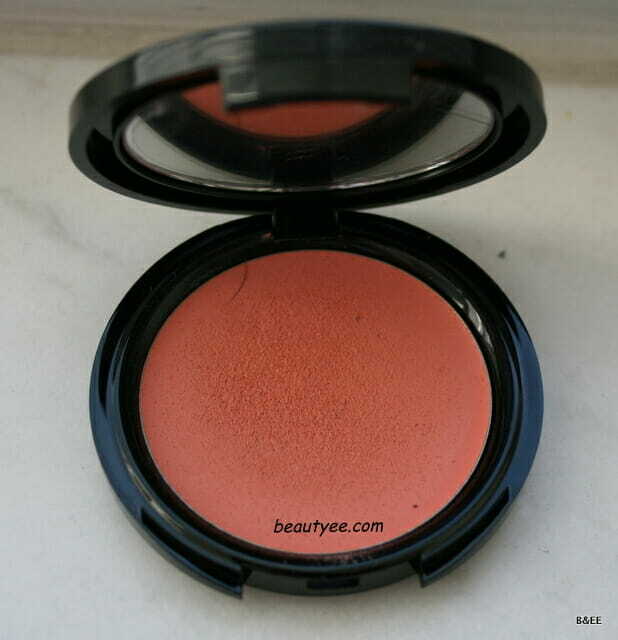 I loved it when I applied it on the crease and outer-V. it stayed for a long time & looked fab! 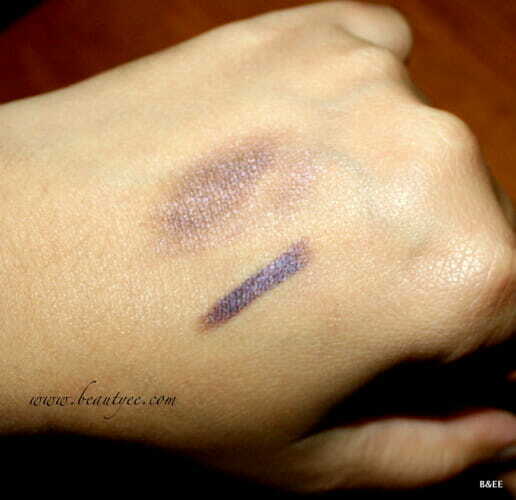 -> As a liner : it stayed well on the lids but started fading a little after 4hrs. 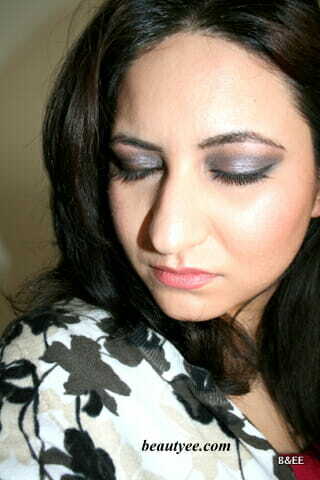 ->As a shadow when blended on the lids & mainly crease : It stayed longer- around 6hrs. And no fading or creasing. – It is really soft so I guess carrying it in your purse in extreme hot climate is not advisable. 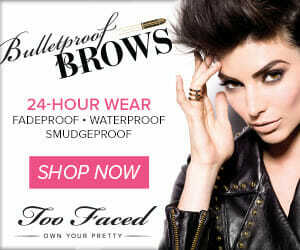 – It does not stay for 8hrs on my oily hooded lids. – I feel the cost is a little steep. IMO- 20$ would’ve been great! – The shades could be a tad darker. I am definitely getting at least 1 more! 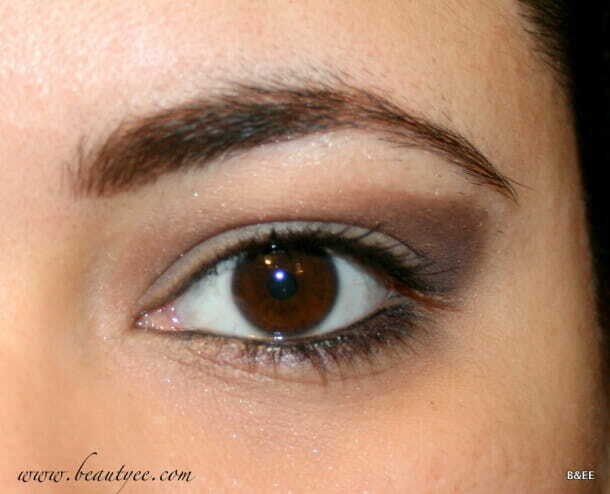 This looks so pretty..and nice..
look so nice for crease…adds tht definition onto crease area!! 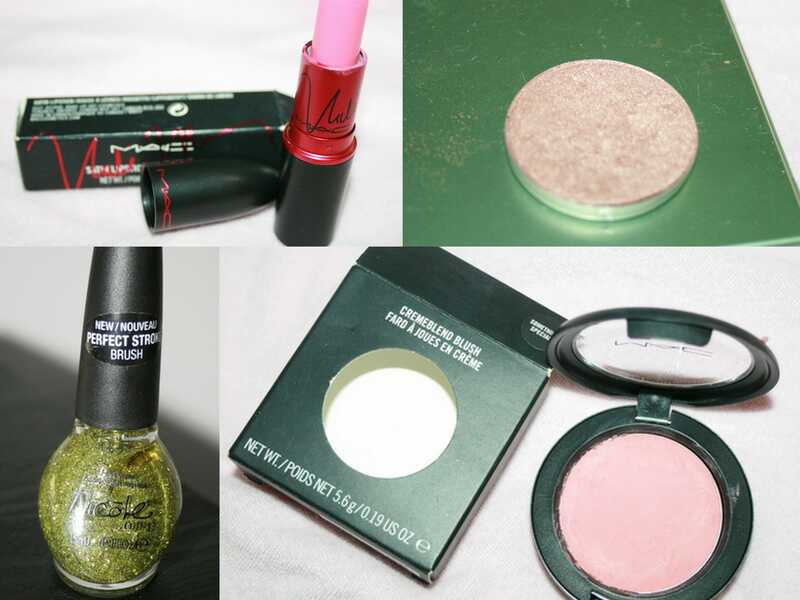 I never tried Bobbi Brown pdts!!! Huv r u bee? long time!!! Thanks so much Renji!!! I’m fine how about you? 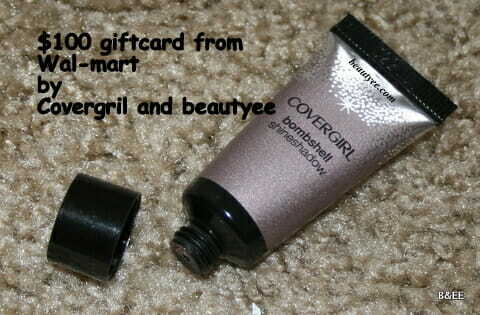 Bobbi Brown is a hit or miss for me but this one’s great!